Since someone went AWOL on Sunday *looks meaningfully at Mommy* we missed our regularly scheduled Shelter Sweetie. And yesterday's post for Wednesday's Waif, too. But that's okay, because today is the perfect day to rectify that. Today we join with the Helen Woodward Center - and all participating shelters across the U.S. - for Remember Me Thursday. The aim is to shed light on the plight of those animals in shelters still in need of a home. According to the Helen Woodward Animal Center, only 30% of American households claim rescue animals for a pet. That's shamefully low! And this accounts, in part, for the 3.4 million pets euthanized annually here in America. So today, we join in lighting a candle (virtually for us, but you can check for participating shelters in your area at this link here) in honor of those homeless pets. And we wish to shed a light today on two such animals in need right here in our backyard. I'm a lovely little siamese mix girl just waiting to purr her way into your heart. Be warned! I'm a real charmer!" 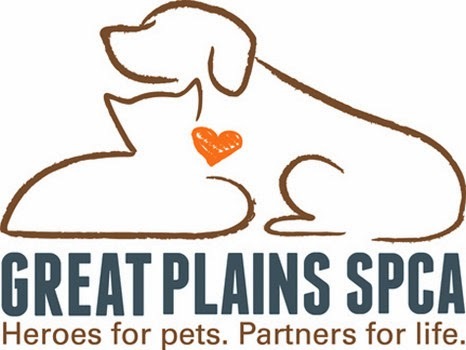 "The staff here at Great Plains love to pet me and call me Mia Bella, "my beauty." That's so sweet of them, don't you think? So when they pet me, I purr up a storm! I'd love to purr for you, too. Won't you come meet me? 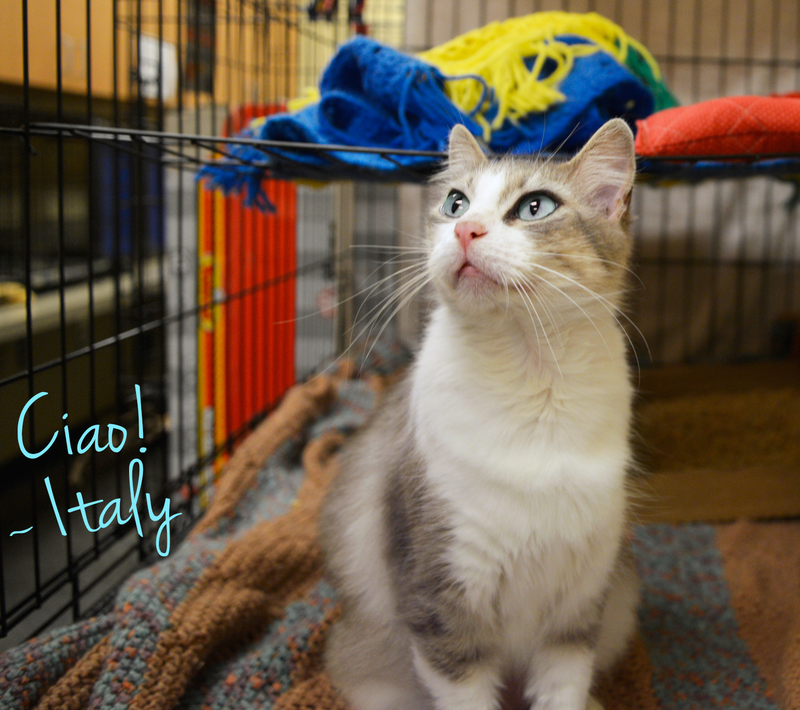 Italy is available at the Independence Missouri Campus of Great Plains SPCA. Next, our Wednesday's Waif from Wayside Waifs in Kansas City is a Super Double Top Secret girl. Any fan of the TV show NCIS will instantly recognize Zivah, that show's stunningly gorgeous Mossad agent. Our Zivah's equally captivating, don't you think? 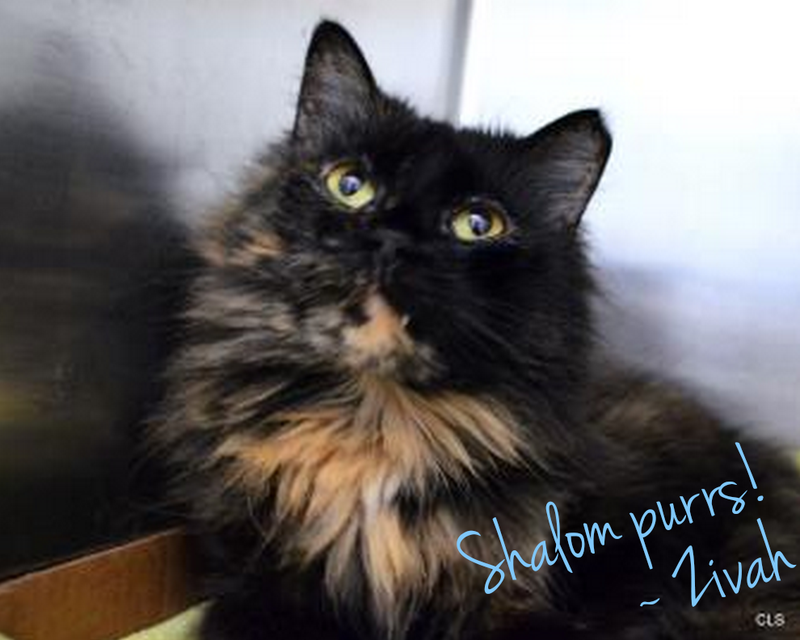 Zivah is a long-haired tortie girl who is affectionate and loves attention. She's ready to come celebrate the High Holy Days with you, today!" Come meet her at Allie's Alma Mater, Wayside Waifs! We feel for those who never found a forever loving home and for all those wonderful people who help our friends in need we salute them. Have a tremendous Thursday. We join you today in remembering all of the special little angels that sadly never knew the love of a forever home, and are purring that these 2 beauties find theirs soon. Hope you had a wonderful vacation! Admittedly most of the Farm cats are strays that found me, Sherpa is a shelter cat and he is very special to me. I'm a rescue kitty and proud of it. I hope those two kitties find super good, forever homes. They both are so cute and worthy of a good home. What a couple of lovelies! OUr Mommy was shocked and appalled to hear that statistic of only 30%! We will remember today and continue to help those furbabies in need. They awe boff gawjus. Weez shawin' and purrayin' they get a purrfect home soon. So sad that all furs don't have a nice home. Very pretty kitties in your post, though. What lovely kitties you're featuring today! I lit a candle for the unfortunate ones today. What beautiful cats. Whoever adopts Italy will have the perfect excuse to learn a new language. Unlike the head peep, who has robbed Pierre of his heritage by never learning French so that all he knows is Escargot. We are purring that the forever families come to find them soon... and that many more people remember the kitties who have been forgotten in shelters. What gorgeous Cats! Mes sure they will be adopted soon! You are two beautiful girls! We are shelter pets too so we know how important it is to spread the word about adoption from shelters and spaying/neutering.